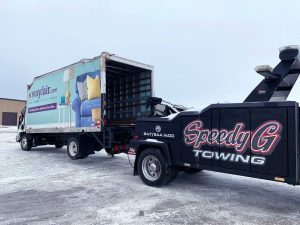 Medium Duty Towing Service in all of Chicagoland, Belvidere, Hampshire, Elgin, Hoffman Estates, Schaumburg, Elk Grove Village & Bensenville. 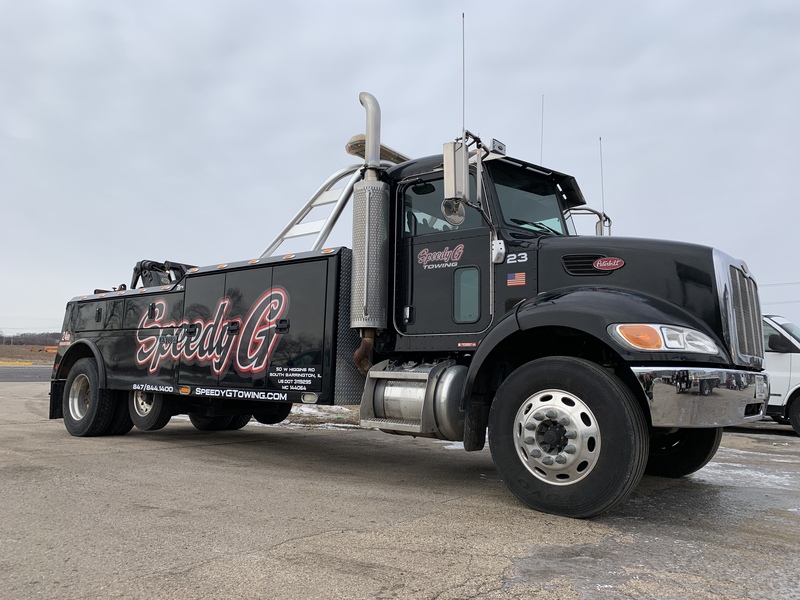 Our medium duty tow trucks have the right equipment to tow things like construction equipment, trailers, dump trucks, semi tractors, any straight truck. 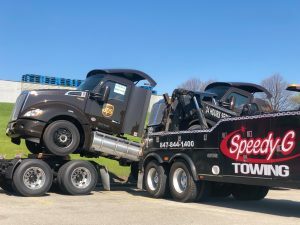 When you are driving a medium-sized vehicle, it is a bit more complicated than just calling any towing service – you need somebody who specializes in towing a vehicle of this particular weight and size. 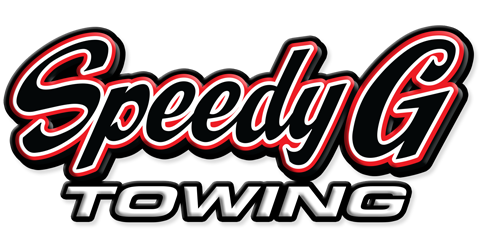 Serving the Northwest Chicagoland area, Speedy G Towing is able to provide fast and efficient medium duty towing. Trucks, vehicles, or equipment weighing over 8,001 but less than 26,000 GVWR would require a medium duty tow. Keep in mind any vehicle with a manufacturer or aftermarket builder gross vehicle weight rating (GVWR) of 8,001 lbs. or above requires at least medium duty equipment in order to be towed. Typically, the upper end of this range is approximately 26,000 lbs. GVWR before heavy-duty equipment is required for safe and legal towing. Examples of vehicles that fall into the “Medium Duty” class include “Super Duty” or “HD” sized pickups, utility trucks, service or delivery vans and various types of two axle bobtail/box trucks. Many RVs less than 32 feet in length and often depending on engine placement (whether a pusher or a puller) are also included in this category of towing.